Country: Not sure yet. DVD (silver). 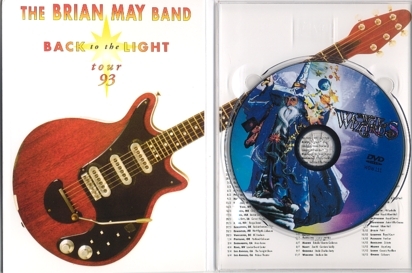 DIGI-PACK cover. Released: Not sure. Might bee summer 2008. That when I found it. Comments: DVD of the officially released VHS video. Not released officially on DVD yet. Not a bad bootleg, or rather a 'pirate' DVD. Also officially released on CD & 2LP vinyl album. Edited for those formats. 'Spikes' keyboard tunes has been removed for CD & vinyl albums, to get time to fit onto one CD. Another silver boot dvd is also on the marked, and you might find DVD-R also. 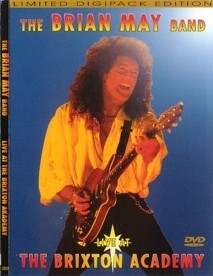 Roots: This is a copy of the officially DVD, whit same name. 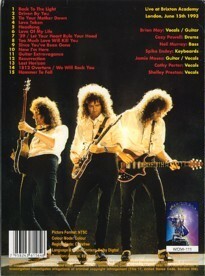 Front cover is copied from the VHS video. Tour From the "Back To The Light 1993" tour. Most of the date as support for Guns 'n Roses.